Dev previews are by definition not finished, so bugs are to be expected. Sometimes bugs are also patched, though. You might have noticed something that looks broken in the new Android N dev preview recent apps list, but it's not. The missing app previews are actually addressing a bug in the secure apps flag. It's a security thing. This bug has been reported a few times, and it's probably been in Android for a while. A secure app flag is used to prevent screenshots and recording in apps that have sensitive data. 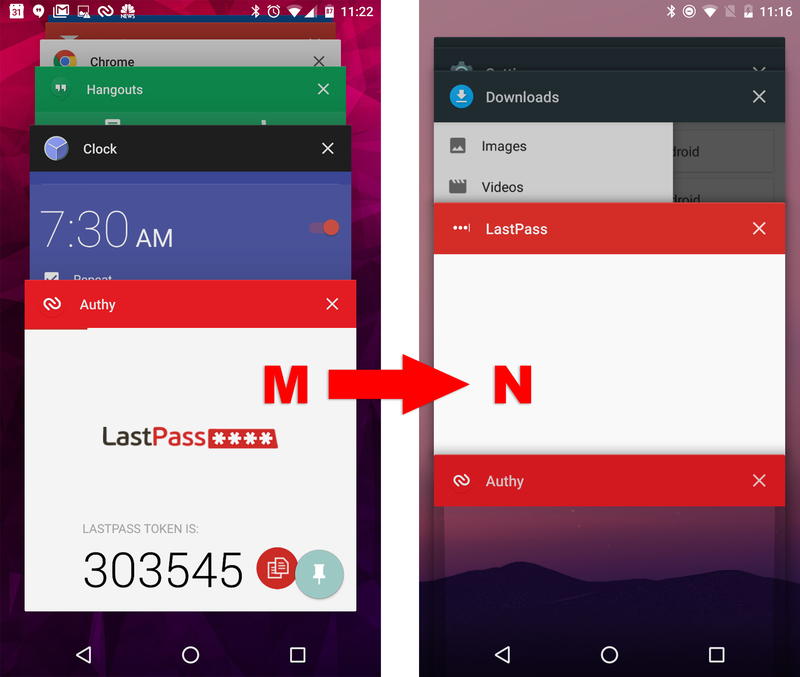 LastPass and Authy are two popular apps that use the secure flag. However, prior to the new dev preview, it was possible to capture that data in the recent apps list. Basically, you use the secure app, lock the phone, wake it up, unlock, hit the overview button, and boom. The secure app would be in the recent list to be captured with a screenshot. We've tested this on Marshmallow, and the bug is definitely still present (see above). In the new dev preview, apps that have the secure flag are completely blank after going through the above steps. It looks a bit odd, but this is how it's supposed to be.